Lombard Odier, the Geneva-based private bank, today announced it had signed a “strategic agreement” with Indonesia’s Bank Mandiri, in what it said was yet another example of its growing interest in the Asian marketplace. The announcement confirms a report here last week that indicated Lombard Odier was preparing to unveil a new “repatriation” banking product in collaboration with Bank Mandiri, which would be aimed at wealthy Indonesians who have funds sitting in Singapore that they wish to bring back onshore. Lombard Odier doesn’t currently have its own offices in Indonesia. In today’s announcement, Lombard Odier didn’t use the term “repatriation” product, but rather said that it would “support Bank Mandiri’s efforts to develop its private banking arm, through investment and family services”, and that “a complete offering of onshore discretionary management services will be launched by Bank Mandiri this month, with different risk profiles matching Bank Mandiri’s specific needs for its high-net-worth and ultra-high-net-worth clients”. 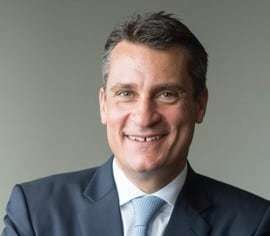 Vincent Magnenat, limited partner and chief executive of Asia Pacific at Lombard Odier (pictured left), noted that Indonesia at the moment “is a really exciting market in terms of onshore wealth management”, and that his bank was therefore “delighted with the launch of this partnership”. “This latest regional partnership with Bank Mandiri, the largest bank in Indonesia in terms of assets, reinforces our commitment to onshore private clients in the Asia region, particularly in Southeast Asia where we see great growth potential in terms of wealth management,” he added. “We look forward to offering Bank Mandiri’s Indonesian private clients access to our top-tier global investment solutions and well-established wealth management expertise. Bank Mandiri chief executive Kartika Wirjoatmodjo added that the partnership would ensure the bank is “well-positioned to strengthen our position as the leader in Indonesia’s private banking industry”. As reported, Indonesia was one of a number of countries that introduced major tax amnesties in 2016 and 2017, ahead of the implementation of the Common Reporting Standard, which is introducing automatic bank information sharing around the world over the next few years. According to The Jakarta Post, “as much as Rp4.88 quadrillion (US$341.6bn) in asset value was declared during the nine-month tax amnesty” last year, but only Rp147trn was repatriated. Most of the money that remained offshore is said to have been parked in Singapore, which has long been one of Asia’s top banking centres and has even been called the “Switzerland of Asia” for its popularity as a trusted banking jurisdiction. Lombard Odier noted that the deal with Bank Mandiri was the latest in a series of “strategic onshore partnerships” it has entered into since 2012, as part of efforts to expand Lombard Odier’s network and client base in the Asia-Pacific region, which it sees as a key area of future growth. It unveiled similar partnerships with UnionBank in the Philippines in August 2016, and with Kasikornbank in Thailand in December 2014. 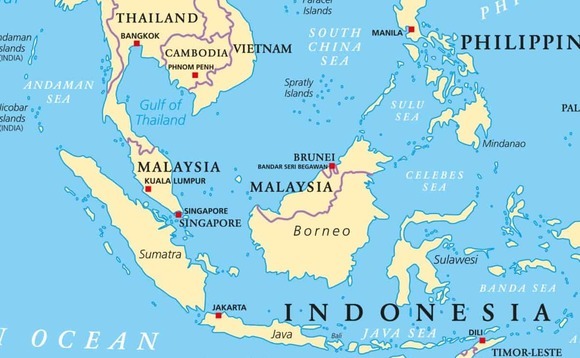 In addition to these Southeast Asia-focused partnerships, Lombard Odier has also forged alliances with financial firms in mainland China, Japan, South Korea and Australia, the company said in a statement announcing the deal with Bank Mandiri today. It said it is successfully pursuing “three core pillars” as it seeks to expand across Asia. These, it says, consist of managing global wealth through its business hubs in Singapore, Hong Kong and Tokyo; entering into partnerships with regional private banks, which offer onshore investment solutions for private clients managed according to the expertise and risk-based models of Lombard Odier; and finally, family services and related wealth planning services.